First thing's first - Lunar New Year. My family doesn't typically celebrate Lunar New Year, but being in San Francisco has allowed me to celebrate it with other friends and their families. For background, San Francisco has the second largest Chinatown, following China, and Lunar New Year is another name for Chinese New Year. Other Asian countries including Korea, Laos, Singapore, and Vietnam, celebrate the Lunar New Year in some way, as well. This year's Lunar New Year falls on February 16th and will welcome the Year of the Dog. 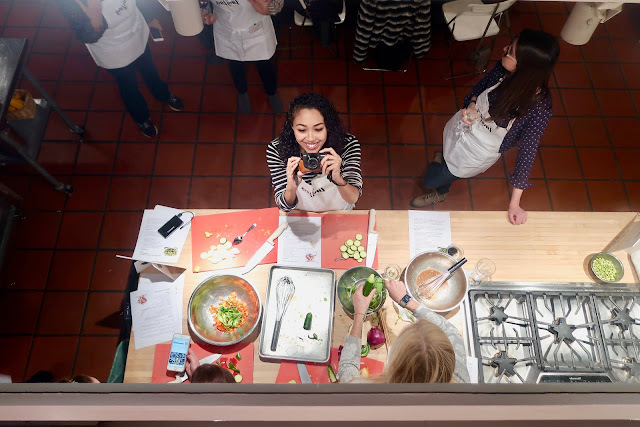 Because our cooking class was all in the spirit of preparing for the new year, our host of the evening, Chef Katie Chin, shared recipes, tips, and craft ideas to get us all ready. According to Chef, the Year of the Dog is a year for harmony - it's a great time for forming new relationships or starting a new business. Lunar New Year, is also an important time for families - lots of food is made in advance, including noodles (symbolizing long life) and dumplings (which are in the shape of ingots, an early form of Chinese currency). We even made Lunar New Year-style lanterns, which help to signify a bright future for the year to come. 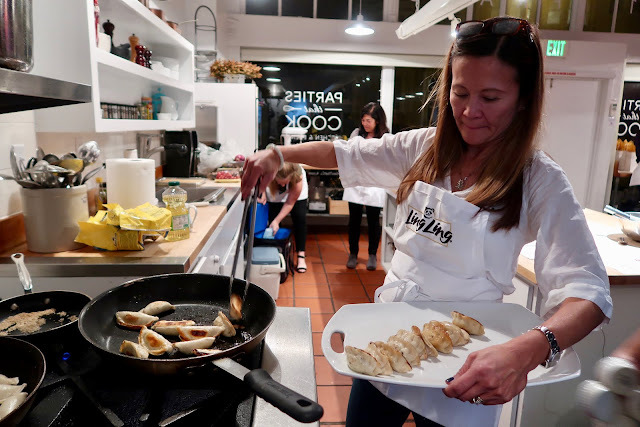 Throughout our evening, we learned to make a few side dishes to accompany Ling Ling's appetizers and entrees, including Asian Marinated Veggie Skewers and a Cucumber Edamame Salad with Ginger Voy Vinaigrette. (Recipes for both will be included at the end of this post.) Both accompanied Ling Ling's fried rice, noodles, and of course, their potstickers. 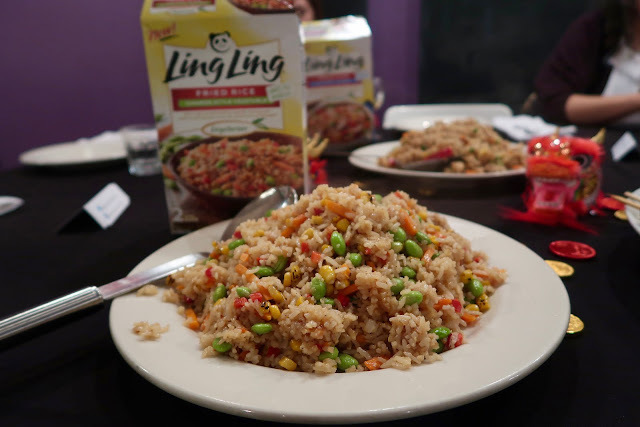 Ling Ling's fried rice is made with tender veggies, proteins, and flavored infused rice. We tried two types - the Chinese-style Vegetable and Yakitori Chicken. Ling Ling's noodles are infused with delicious sauces, proteins, and veggies. 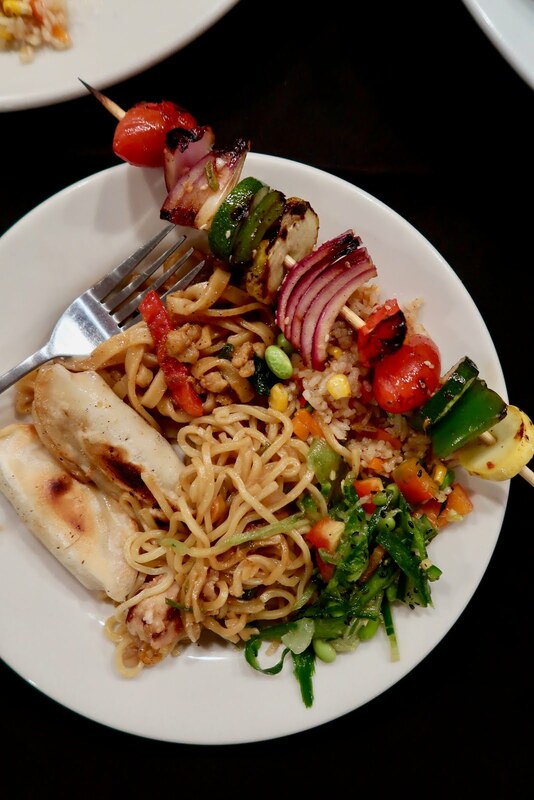 Again, we were introduced to two types - Drunken Noodles and Yakisoba Noodles. The drunken noodles were my favorite! Finally, as many of you will be familiar with, the potstickers are made with either chicken and pork, as well as veggies. Each comes with a delicious Ling Ling signature sauce. I am pretty sure it's against recommended serving sizes, but I can honestly go through at least eight potstickers in one sitting- they're that good! 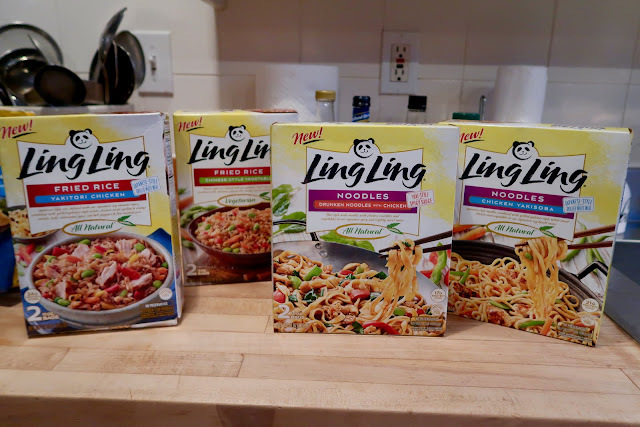 It was so easy to make each of Ling Ling's signature appetizers and entrees - each was seriously ready to eat within 10 minutes of cooking time! For anyone who is interested in finding Ling Ling at their nearest store, you can use this handy locator to see where it's sold near you. 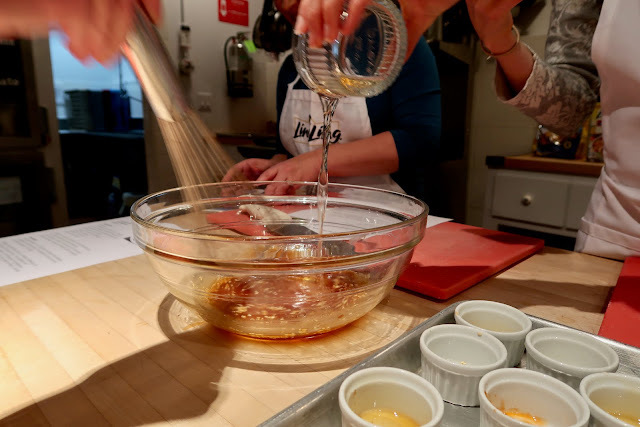 And, as promised, below find the two easy-to-make recipes to help you ring in your Lunar New Year festivities! 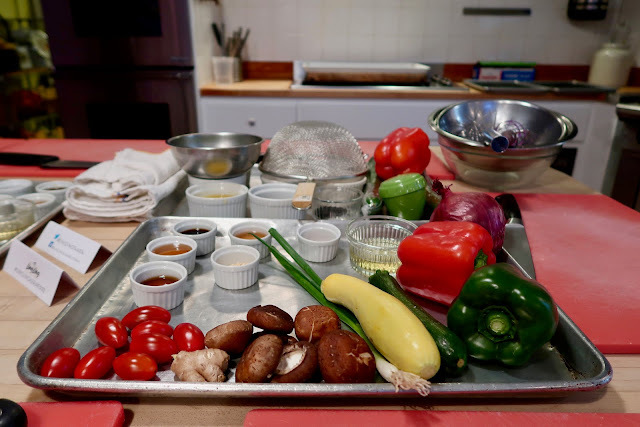 Alternately thread the tomatoes, mushrooms, squash, zucchini, onion and bell peppers onto the skewers. Spiralize or very thinly slice the cucumbers, soaking up any excess liquid with a paper towel. Toss together the cucumbers, edamame, red bell pepper and jalapeno. Drizzle the dressing on top and toss again to blend. Garnish with black sesame seeds and serve. Special thanks to Ling Ling for such a fun evening and thanks to all of you for supporting partnerships such as these!